Friday night we went to a potluck for work at a co-worker's house. But first I came home and went for a quick run after work. It was nice when I started out but all of a sudden it got dark and there was thunder and lightening. Apparently we just got a bit of the storm because my friend that was in town said it poured so much there was water rushing down the street. Crazy! 2 storms in one week. 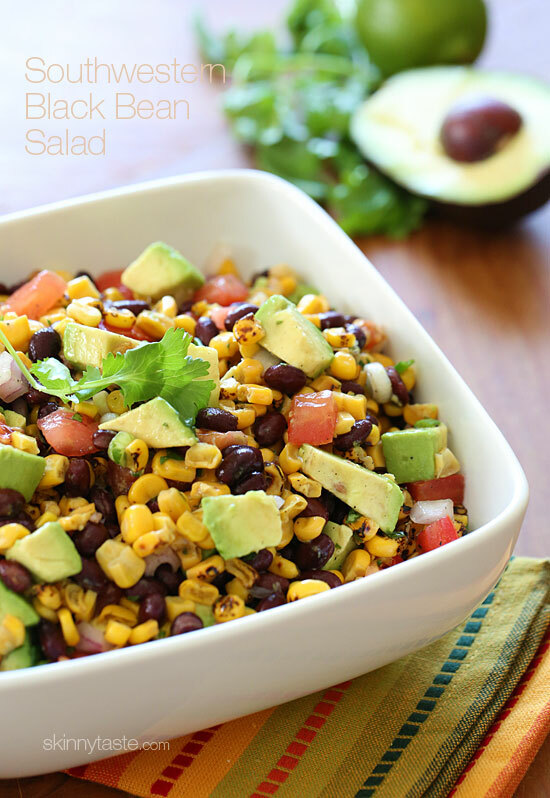 and this Southwestern Black Bean Salad (and brought a bag of chips) to dip with. They both turned out really good. There was only a little dab of the sweet potatoes left. The party was a lot of fun but I didn't take ANY pictures. I KNOW so weird. We didn't get home until late and I even nodded off in the car on the way home lol. Saturday I spent all day cleaning off my kitchen table, laundry and cleaning the carpet in my bedroom. SO EXCITING. Not really but it was in a way! I listed a few things on the local garage sale groups and decided that anything that didn't sell by Sunday was going to Goodwill. I ended up only selling a couple Pyrex bowls so the rest got to go for a ride. Along with a few other bags of stuff I didn't want to bother trying to sell. It always feels nice to get that stuff out of the house. Saturday night my friends Traci and Nancy were hanging out on the dock so I went for my run real quick and then went over to hangout. The sunset wasn't all that exciting but I had fun hanging out and visiting. My friend Traci's cat is like a dog and walks down and back with her (her house is down the road). I spent Sunday running a few errands. I got back just a bit before my book club meeting. My mom stopped by and so I rode over with her. 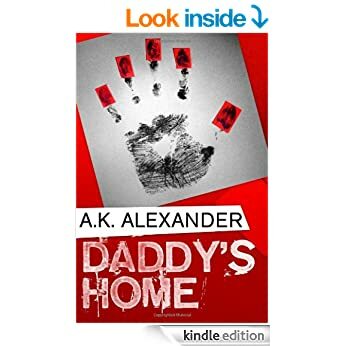 The book we read this month was Daddy's Home. It was a really good suspenseful book that kept you guessing on who did it and what was going to happen next! I actually already started reading the 2nd book. And we had this fantastic drink! It was so good we finished off the bottle. 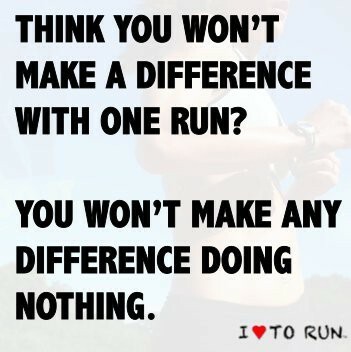 I ended my night Sunday by going out for a run. My plan was 3.75 miles but I was calculating in my head that I would be close to 4 by the time I got home from the route I took so I just went for it. I did really good at keeping an even pace. EXCEPT where you see it go up, that's where a neighbor was out with her dog and I had to pause for a minute because I wasn't sure if it was running at me or to me for a sec. It was just a big goofy lab that wanted to hang out so it was all good! I think I've hit max exhaustion today. My neck started stiffening up while I was at work but I still had to go to the grocery store because we were out of cat AND dog food. Can't go without feeding my babies! I bought a new food to try for Buster since he's been scratching himself silly and his fur just looks so dull and horrible. Hopefully a different food will help out. I was pretty tired at the party. I actually laid on the floor a couple times with the babies but made myself get up so I wouldn't fall asleep. We got home at 8 and I went straight to bed. This year for the Cancer Awareness Run & Ride I decided to do the 2 mile run along with the 25 mile ride. Last year we did the 60 mile ride, which leaves before any of the runs, but this year Scott wanted to do the smaller ride so we could get the kids to go with us. Melissa said no thanks and Trevor did a 10 mile ride with no problems awhile back so I signed us up for the 25 mile ride instead of the 12. We got up early and got there in plenty of time for packet pick up and milling around talking to some people that I know. They had a 2 mile run along with a 10k. I didn't want to push my luck with the 10k since I haven't been running longer distances lately so I had just signed up for the 2 miler. Which, was a great idea! 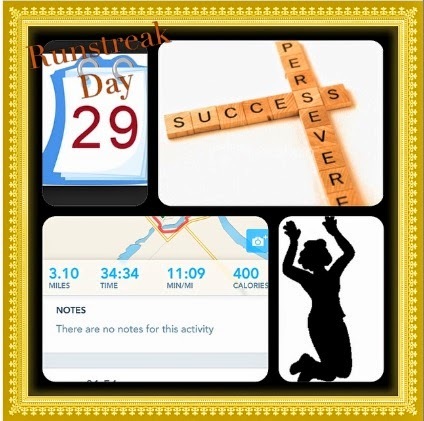 I've been running 1- 2 1/2 miles every day for over 20 days. I started out towards the front of the pack because there was A LOT of walkers and I didn't want to have to get around them all. If they were smart they would have made a line to have the runners in front of and the walkers behind when we lined up. I almost saw a grandma lady get run over by runners lol. I felt pretty good for the run and I was happy to see that I came in under 20 minutes, so sub 10 minute mile average (I actually had a 10:01 for the first mile and 9:11 pace for the 2nd). Later I found out I came in 6th for my age group out of over 40 women so I'm definitely proud of myself for FINALLY starting to get some speed back. I had Trevor take a picture of me afterwards. I think I was giving instructions lol. On my leg is this bib they had. I went back to add Ruben's name and couldn't find the markers. Ruben is my good friend Lupe's brother who died this year from kidney cancer. Anthony & Casandra are my friend from high school who both passed away this year, and Marilyn is my Grandma. After the run I went to the truck to change my clothes. Scott went to pump up the tire on my bike and it blew out so he had to change my tire. We walked around a bit looking for some bananas. Instead we found a tent with mostly processed junk food. Made me wonder why at a cancer awareness event they didn't have healthier food? I ended up sharing a fake apple danish of some sort and drinking a little chocolate milk. If I do this again I'll make sure to bring something to eat between the run and ride. Eventually it was time for the ride. We all wore our new jerseys they gave us, which is really nice! Usually I wouldn't wear a race shirt for the actual "race" but it was fun to all be matching. I let him use my gloves after the rest stop because that was the thing that was bothering him most. His grips on his bike are like little waffle grids and were doing a number on his hands. The next rest stop was after another 8 miles. We stopped once on the side of the road because his head was hurting. I had him drink some water and pour some on his head. That seemed to perk him back up until the next stop. Then it was time for some food from their BBQ, tri-tip, chicken, and chips. I passed on the soda (I haven't had a soda in over a month!) and had water and another little chocolate milk. I am so proud of my little guy to be able to ride 25 miles on his bike! My poor little blog is so neglected! I'll have to start making myself make sure and post at least something every day again. The dang kid just keeps hogging it whenever we are home.He's actually playing on my Kindle at the moment (homework procrastination!) so the computer is free! My space bar is all jacked up so I have to keep going back and fixing it. I think I'll just type it all and fix it when I'm done. So annoying. Note to self: order a new keyboard off Amazon. I've started just ordering things I want off Amazon since it's easier than making time to drive to the store. I'm so lazy! Plus there is the added bonus of being able to research what you are looking at without having to stand in an aisle with a bunch of people in your way. Plus is only usually takes 2 days to get what I order so SCORE! Anyhow, so this weekend I was supposed to go hiking with some people from a running group but that got cancelled. I was also supposed to go to my niece Adrian's birthday party but she got sick so it got postponed until next weekend. I had got up and went out running so that I could get it done early since I knew we would probably stay at my brother's late. I was just about done when they called and said she was sick. It was kind of nice to get it done early. Plus I got this great picture. Sometimes you just have to pause your run and take in the view! Scott had plans to go to a baseball game with his friend so I ended up taking Melissa anda friend to the mall, getting Trevor some new shoes (size 9 in men!) and then I took him to lunch. My friend had just went to the Squeeze Inn. I always see the sign when I get off the freeway and then she went so I decided to try it out. I guess Guy Fieri had done a DDD at one of their other locations and that made them famous. I let Trevor get a milk shake and then we both ordered a burger and a fries to share. His milk shake came out first and I got a few spoons of it and he drank the rest. He only ate a few bites of his burger and a couple of his fries and I could tell he was feeling a bit green. My burger was so good (although the cheese that makes it famous wasn't all that great to me lol). I maybe should have ran a bit more lol. Right after I got done eating Trevor got sick in the bathroom from the milk shake. Not sure if it was just too much or what it was made with but he said he's "Never having another milk shake.Until he's older" lol. He slept on the way home and then he was fine. Silly kid. After we got home we went down to the club house since they were having a 75th anniversary party. I'll save that for my next post though!